It’s possible to go through Amsterdam airport and not notice the extra security, it’s possible for Schiphol to appear like any other airport… unless you are flying Al El (Israeli Airlines). A quick rewind: I left New Orleans early in the morning, flew to New York then straight out to Helsinki. Arrived in Helsinki at 9am, hung out in the city all day then caught a flight to Amsterdam, crashed in a Airport hotel overnight… and now we’re current. After walking past 20+ other international check-ins, you come to Al El, but before you notice them you notice the 6 men in blue, full tactical, rocking MP5’s all kitted out (even their scopes have scopes). I’m still in the process of geeking out over their hardware when it’s my turn to be asked some questions before check-in, “Are you traveling alone?”, Yes, “stand over there please”. Now I get to answer questions for someone else. I’ll refer to these as “The Questions”, they would soon become routine as I’d have to answer them 3-4 times with different people every time I traveled in & out of Israel. So after answering these for the 3rd time, a guy introduces himself as the head of security & asks me the questions again, has a quick conversation with one of the others and leaves. I wouldn’t talk to him again but he’d observe every part of the process I’d go through. All my bags go somewhere, I get my boarding pass & am told to go to Gate 10… on the way I pass another gate with my flight number, there are armed Amsterdam tactical police at both entrances to the gate, you have to show them your boarding pass to be let into the gate area. Sidenote: A couple of things which jump out at me about this, there are no other airlines nearby, Amsterdam is clearly taking the security of Al El seriously (no one else has the extra attention), and all the security screening is carried out by Israeli airport & security personal… does this even happen for other countries? 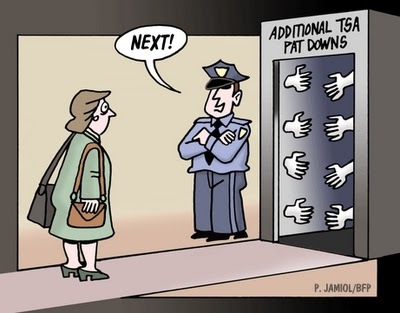 With all my flights into the US it always surprised me how relaxed their security screening is… sometimes there is none, you grab your bag, show your passport & go, it always surprised me how reliant they were on the security of the country you left. Not Israel, they have there peeps overseas. I walk past this gate and head to G10… which is down some stairs… and not a gate at all. I sit and I wait. I’m a little concerned I’m going to miss my flight, it’s taken an hour so far. I’m assured I haven’t been forgotten & I won’t miss my flight. As I wait other passengers come and go, they have a brief check of their bags & are sent on their way. I meet a family (brother, sister and dad) from Germany, we chat for a bit until we get asked if we know each other, “no”, “then why are you talking”… umm because I’m a generally-friendly-non paranoid-humanbeing. I get to do the questions again. And then I have to take every single item out of my bag & have it scanned & swabbed. And then I get asked a bunch of questions about every electrical item I have, I have to turn it on, show that the camera is functioning & prove that it is mine by showing pics of myself… at this stage I’ve been asked the “who am I visiting” question at least 5 times, they can’t seem to comprehend that I’m traveling by myself to a country I’ve never been to or know anyone. So while I’m searching for pictures the guy tries super casually to slip in, “maybe you could show me some pictures of the friends you’re visiting”… ohh super smooth. How does he expect that to play out? Sure here’s a pic of me and my new friends at terrorist training camp 7, here’s me at my hijacking graduation. My shaver has no pictures of me in it. Along with a few other items it doesn’t get to travel with me, instead it’s stored in a box in Amsterdam airport until my return. And then we get to my clothes. The ones I’m wearing. I have to get changed into these blue track pants and everything I’m wearing gets scanned & tested & I get the special pat down & scan treatment… at this stage I’m just thankful the rubber glove hasn’t come out. I’m then left to change & re-pack before being escorted onto the plane. We depart 30 mins late, I’m happy they held the flight. My carry-on bag has to get checked, I’m not allowed to take my tablet, phone, travel pillow, wallet, or anything onto the plane except my boarding pass & passport… oh, and my seat has been changed from the extra-leg-room emergency exit to a regular seat. As I’m leaving the plane in Tel Aviv a steward brings me a bottle of wine & apologizes for my treatment. I smile, things are looking up. And then I reach passport control, and we do ‘The Questions’ for 30 mins, and the people lined up behind me have to be hating me, as my guy spends considerable time consulting with another. The German family pass me on the right, we share a few jokes & smiles about our experience.